Branching sponge. Some oscular visible, typically at end of branches. Cream coloured. 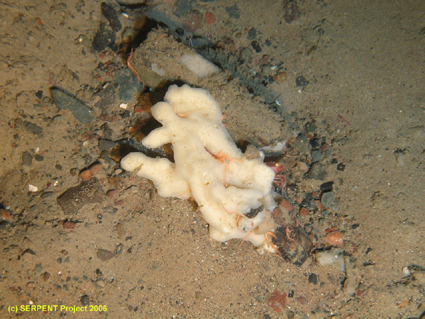 We are calling this taxon Faroe-Shetland Channel Cold Water Sponge M. Kerry Howell at University of Plymouth is calling this taxon OTU418.